More and more homeowners are choosing to make the switch to tankless hot water heaters – and we love it, because our experienced plumbers are experts at tankless water heater installation. You can save on energy costs! Tankless water heaters heat water on demand, so it’s not using electricity all day like a tank system does. Enjoy endless hot water! Your tank won’t run out, leaving you in the cold; you’ll have all the hot water you need. Tankless outlasts traditional! When properly maintained, tankless hot water heaters often last up to twice as long as a traditional tank water heater. We offer an exciting product; the Navien Premium Condensing Tankless Gas Water Heater. 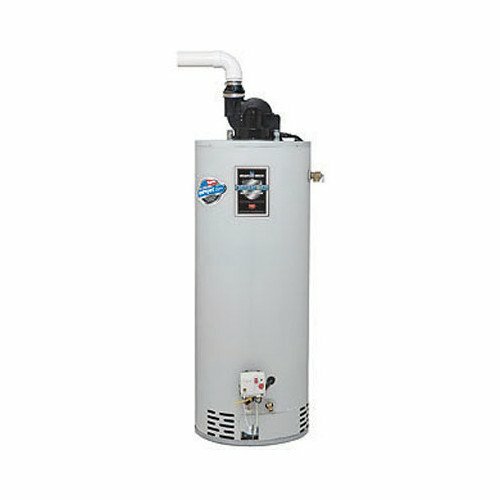 This water heater features a built-in recirculation pump, saving homeowners hundreds of dollars. The typical U.S. home wastes 12,000 to 38,000 gallons of water each year waiting for hot water. Enjoy significant savings on water and sewer charges with a recirculation pump. A water circulation system eliminates cold water runoff at the faucet by using a bypass valve and pump with a timer to control water flow. Imagine the convenience of having hot water instantly available at sinks, appliances and bathroom faucets. You won’t waste time waiting for hot water, even with a low-flow showerhead or faucet. Having a hot water recirculation system will improve the efficiency and effectiveness of your household appliances: including washing machines and dishwashers. You can save even more on energy costs by setting the 24 hour programmable timer to make hot water available during peak demand times. If you are having any of these problems, reach out to us. Rest assured, we will not try to sell you a new water heater if you don’t need one. 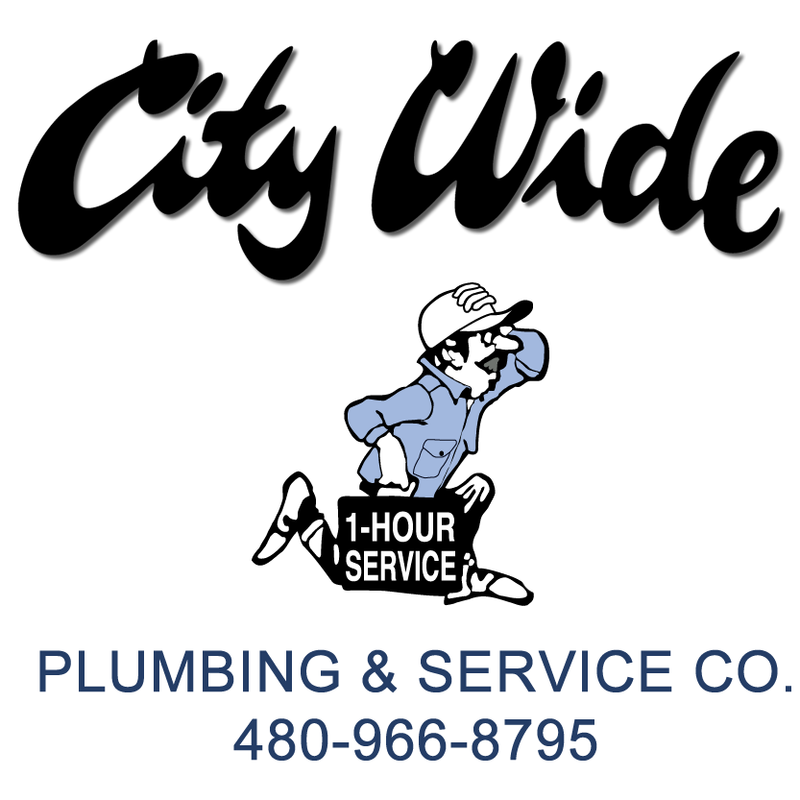 City Wide Plumbing has helped residents in the Metro Phoenix, Scottsdale, and the East Valley areas since 1982. 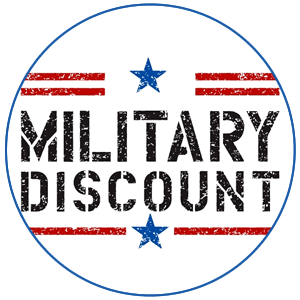 We are a local, family-owned company, and are pleased to pass our low overhead on to you to save you money. We are licensed, bonded, and have an A+ rating from the Better Business Bureau. Call us today at 480-966-8795 for fast and friendly service. 1. Be conscious of the amount of hot water you use. 2. Turn down the thermostat on your water heater. 3. Insulate your water heater. 4. If your water heater is older, consider replacing it with an energy-efficient model. When your water heater fails you, it can be a mess! 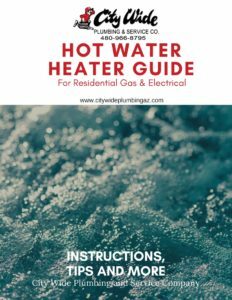 Contact City Wide Plumbers at 480-966-8795 to get your hot water flowing again. In many cases, we can be there within the hour. Once we’re there, you’ll know you’re in good hands. 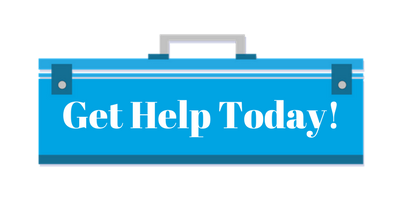 We’ll diagnose the problem, explain your options and then provide you with a free estimate. If possible, we’ll repair your current water heater. If you require a replacement, you’ll be pleased with an efficient, American-made model, either gas or electric. What can you expect from your on-site estimate? An up-front, comprehensive price. Our estimates are straightforward with no extra charges or hidden fees. 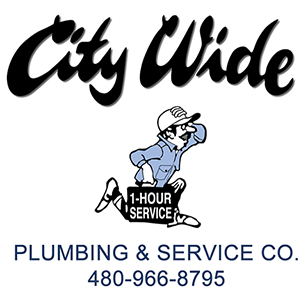 For a personalized quote and an expert evaluation of your current system, contact City Wide Plumbers today at 480-966-8795. We offer fast, free estimates with no hidden charges. Our up-front pricing includes installation and labor. Installation includes 2 new water supply lines, American-made ball-valve shut off, and up to 4 feet of T&P line. For your convenience, we will remove and recycle your old hot water heater. We offer the following brands: A.O Smith | Bradford White. Bradford White hot water heaters are made in the USA. Our one-of-a-kind air/fuel shut-off device has no filter to clean and has standard replacement parts. Its Low NOx design gives it low nitrous oxide emissions and its EverKleen patented system fights sediment build-up. Our water heaters’ patented magnesium anode rod design incorporates a special resistor that protects the tank from rust, which meets or exceeds National Appliance Energy Conservation Act (NAECA) requirements. We value your home and safety; this means we’ll take precautions to prevent potential hazards in your home, and will leave a clean job site behind. We are fully licensed, insured, and bonded, with a proud reputation in the community; we are happy to provide references from satisfied customers. We value your time: we’re proud to offer same-day service – within the hour in many cases. We are the service agent for the water heaters we sell. If you ever have problems with your new appliance, you can be assured that you’ll get the help you need, fast.